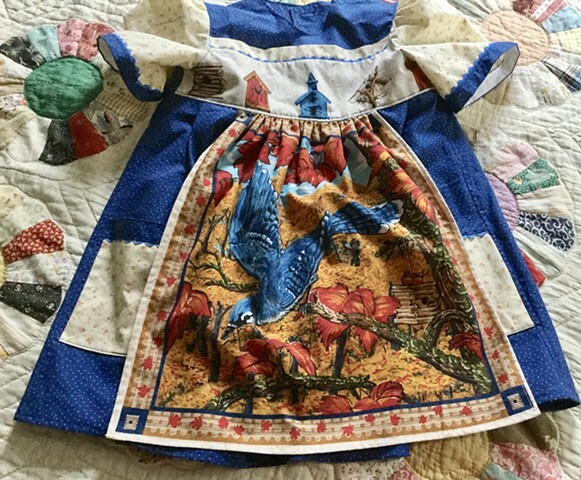 Sized for a 7-8 year old, measuring 28” waist, 24” shoulder to hem length, “Blue Jay and Bird Houses” features an apron with a blue jay in flight over a full skirt. 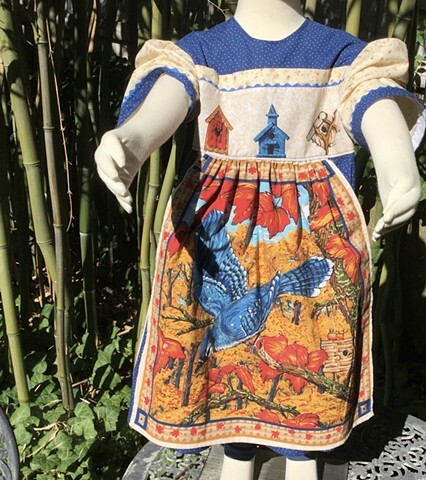 Funky bird houses across the bodice, puffed sleeves, blue dotted fabric bodice and skirt, wheat-colored calico for sleeves and pockets, blue rick rack. 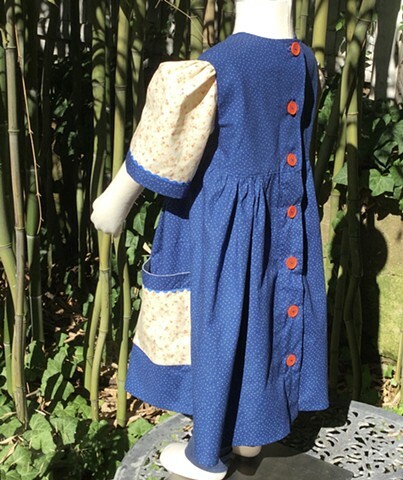 Closes all the way down the back with big red buttons, $110, all cotton, made by the designer herself and shipped free to any address in the U.S. #263.